From Sanremo and Genoa on the Mediterranean Coast to the high peaks of the Aosta Valley, the Italian North West has it all. 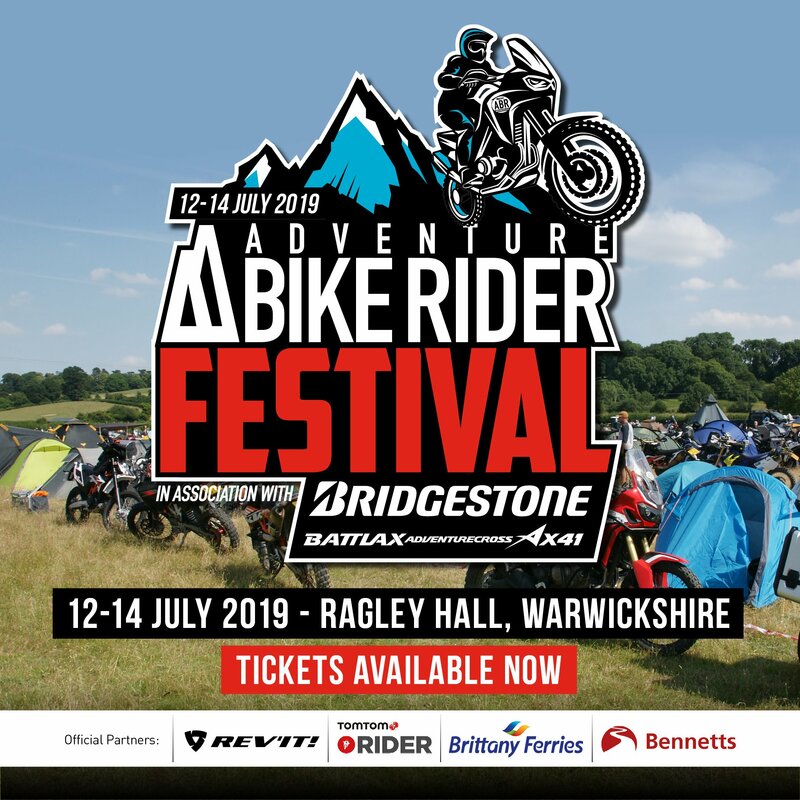 There’s great off-road adventure riding to be found on the Alpine military roads and some of the best road touring passes and scenery in Europe. 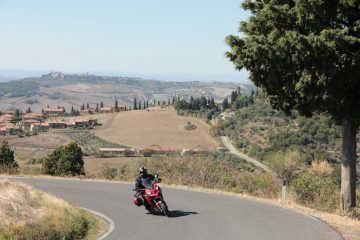 In part one of our Motorcycle Guide to Italy, we take a closer look at this magnificent motorcycling region to show you the roads that must be ridden, and the places that must be experienced. Butting up to France and Switzerland, the Italian North West consists of three regions; the coastal strip of Liguria, the Alpine region of Valle d’Aosta on the northern border and the larger region of Piedmont sitting in-between and offering a variety of mountains, lakes, plains and big cities. 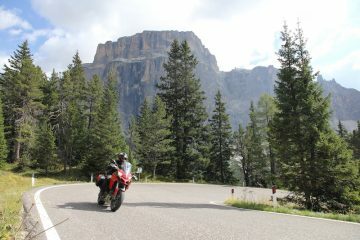 For the UK rider, there’s a good chance you’re going to start your tour of Italy in the north-west of the country. 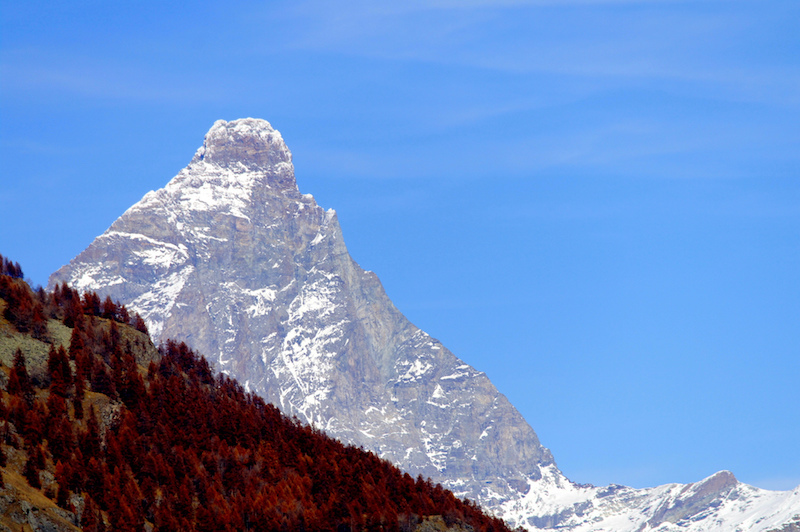 All three of the north-west regions (Valle d’Aosta, Piedmont and Liguria) have main road links with either Switzerland and France, with the tunnel under Mont Blanc, or Monte Bianco as it is known in Italy, being the nearest border crossing to the UK. Our favourite entry point in this northern region is the Col du Petit Saint Bernard (The Little St Bernard Pass), which starts out as the D1090 from Bourg-Saint-Maurice in France and ends as the SS26 in the Aosta Valley just south of Courmayeur. 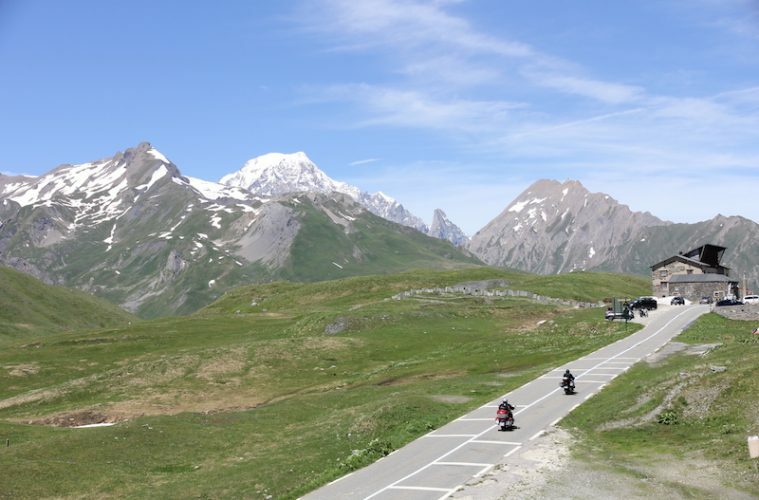 The Little St Bernard Pass is a thrilling road and offers the rider unparalleled views of Mont Blanc, Western Europe’s highest mountain, which tops out at a glaciated 4,810m. From the Chamonix Valley in France, Mont Blanc is one of the less dramatic peaks in the massif appearing as a benign, rounded white dome. 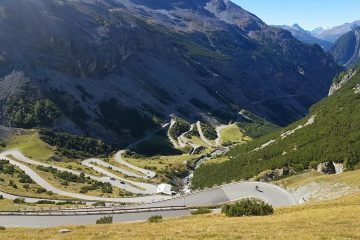 However, it’s all change on the Italian side where it becomes one of the most dramatic and savage mountain vistas in the Alps, and there’s no finer view of the wild and precipitous ridges and glaciers than that offered from the SS26. And whilst not conclusively proven, the pass is thought by many historians to be the route followed by the Carthaginian general Hannibal when he led his army into Italy in 218BC. Something for you to mull over as you hit the switchbacks. Heading down the Aosta Valley towards Turin and Piedmont, you’re flanked on the left (north side) by some of the highest peaks in the Alps, including the Grand Combin (4,314m) and the only mountain in the world that’s had a chocolate bar cast in its image – the spectacular and unmistakable Matterhorn (4,478m). The Aosta Valley offers outstanding natural beauty and fantastic Alpine passes, but it is also a region packed with interesting and historic architecture such as Savoia Castle, Fénis Castle and many Roman monuments and museums. Plus, there are colourful festivals and carnivals throughout the year and if you’re lucky to be riding through when the Pont-Saint-Martin carnival is taking place, you’ll be able to check out the chariot races. Continuing further east into Piedmont, there are plenty of attractions to keep you in Italy, not least the spectacular roads and scenery surrounding Lake Maggiore, but it’s inevitable that you’re going to nip over into Switzerland at least once to check out one or more of the famous Alpine passes such as the Simplon or Gotthard. 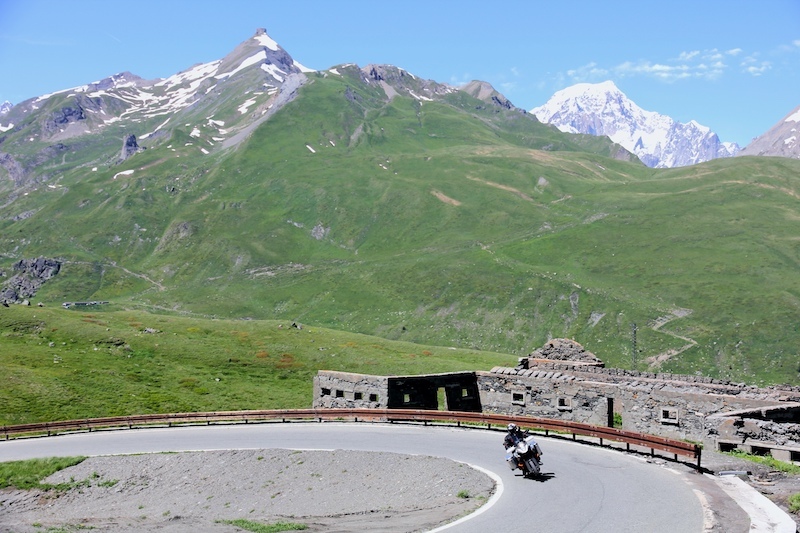 Heading back to Mont Blanc and riding south from Valle d’Aosta, you’ll find that the Alps form a continuous and formidable barrier right down to the Mediterranean coast with the next major crossing being the Cenis Pass (Col du Mont Cenis) at 2,083m. Historically, the route was an important trading path, and by 1810 Napoleon had built a road over the pass. 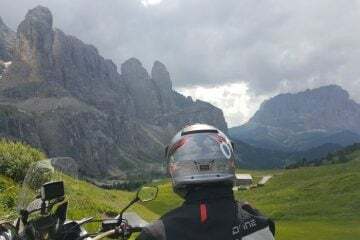 South of Bardonecchia, right down to within sight of the Mediterranean, both the road touring and off-road adventure riding is superb and it’s almost inevitable that you’ll find yourself crossing into France riding one of the major or minor passes or when checking out the old military roads. These military roads were constructed to serve fort and gun positions along the high Alpine ridges of the French/Italian border. 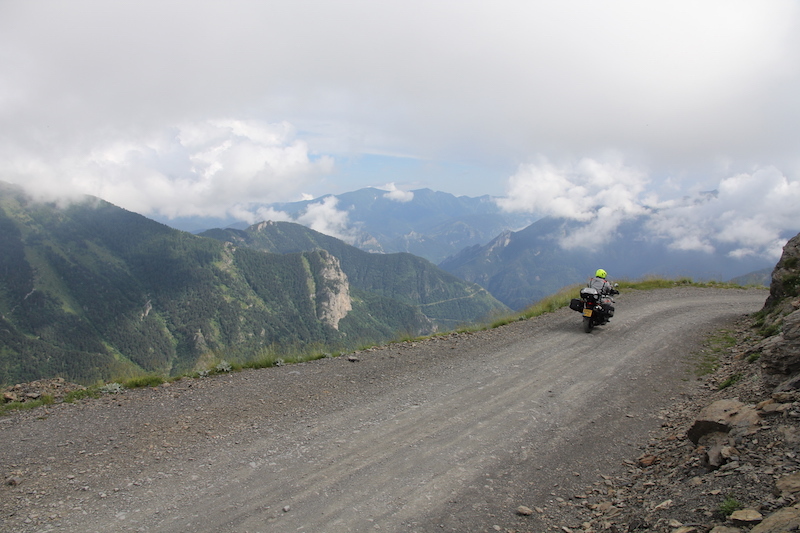 Most are unpaved and quite a few are off limits to motorised vehicles and in disrepair, but there are still plenty of them that are open to, and accessible by, motorcycle. Our favourite spot for riding military roads is just to the south of Cuneo on the old road cresting the Col de Tende. Whilst these trails make for spectacular riding, be warned that you’re a long way from help, and even a telephone signal, should you have problems on these off-road trails. If you ever tire of the fantastic mountain roads in the north-west, then a visit to Turin is rewarded with numerous art galleries, palaces, opera houses, parks, gardens and classic architecture. 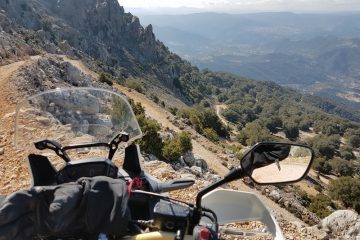 Alternatively, a ride down the old Mediterranean costal road from the border with Monaco to the Cinque Terre peninsula near La Spezia is worth a blast. 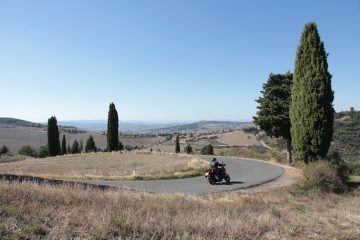 Whilst it’s a busy route in summer, it makes for a great 186-mile tour of the Italian Riviera and the spectacular coastal villages of the Cinque Terre are not to be missed.